datetime is the standard module for working with dates in python. It provides 4 main objects for date and time operations: datetime, date, time and timedelta. In this post you will learn how to do all sorts of operations with these objects and solve date-time related practice problems (easy to hard) in Python. 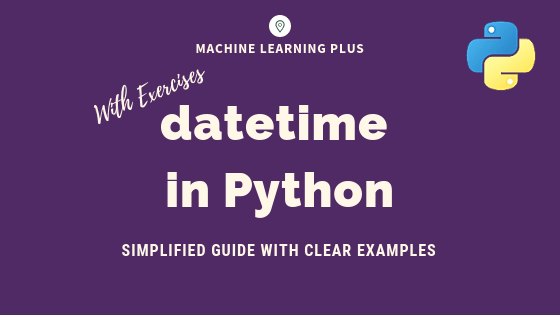 datetime in Python – Simplified Guide with Clear Examples. Photo by Sergio. How to parse a string to datetime in python? How to format the datetime object into any date format? When and how to use the datetime.time() class? When and how to use the datetime.timedelta() class? The datetime is the main module for working with dates in python. Whenever you need to work with dates in python, datetime module provides the necessary tools. datetime is part of python’s standard library, which means, you don’t need to install it separately. You can simply import as is. If you have to learn only one thing about handling dates in datetime module, it is the datetime.datetime() class. Inside datetime module, the most important and the commonly used object is the datetime class. Notice, I am talking about the datetime class inside the datetime module. Since both the module and the class have the same name, pay attention to what object you are using. Each these classes have its own purpose. We’ll cover all of these in this post and about a more advanced parser (not in `datetime`) to help parse any date. The datetime.datetime.now() method gives the current datetime. The output is a nice datetime.datetime object with the current date and time in local time zone. The output is in the following order: ‘year’, ‘month’, ‘date’, ‘hour’, ‘minute’, ‘seconds’, ‘microseconds’. To get the date alone, use the datetime.date.today() instead. It returns a datetime.date object and not datetime.datetime. Why? That’s because, today() is a method of the datetime.date class and does not contain time information. But the above notation hard to read. Printing it out will show in a nice YYYY-mm-dd format. We will see how to format datetime to many more formats shortly. 4. How to parse a string to datetime in python? The above method requires you to manually key in the year, month etc to create a datetime object. But, it not convenient when working with datasets or spreadsheet columns containing date strings. We need way to automatically parse a given date string, in whatever format, to a datetime object. Because, datasets containing dates are often imported as strings. Secondly, the date can be in any arbitrary date string format, like, ‘2010 Jan 31’ or ‘January 31, 2010′ or even ’31-01-2010’. So, How to convert a date string to a datetime? The parser module from dateutil let’s you parse pretty much any date string to a datetime object. You can convert any datetime object to nearly any representation of date format using its strftime() method. 6. How to format the datetime object into any date format? You can convert any datetime object to nearly any representation of date format using its strftime() method. You need to pass the right symbol representaion of the date format as an argument. The datetime object contains a number of useful date-time related methods. 9. When and how to use the datetime.time() class? The datetime.time() is used to represnt the time component alone, without the date. The defualt output format is: hours, minutes, seconds and microseconds. 10. When and how to use the datetime.timedelta() class? ‘TimeDeltas’ represent a period of time that a particular time instance. You can think of them simply as the difference between two dates or times. It is normally used to add or remove a certain duration of time from datetime objects. To create a datetime.timedelta class you need to pass a specified duration to the class constructor. 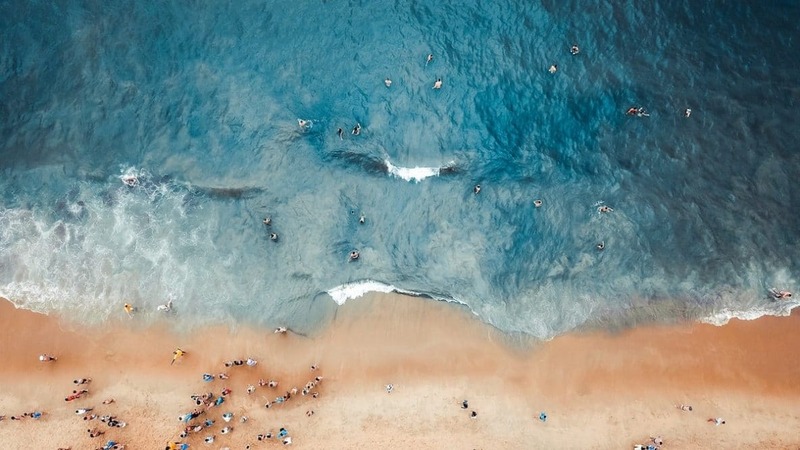 The arguments can be in weeks,days (default), hours, minutes, seconds, microseconds. Now I have a `timedelta` object that represents a duration of 30 days. Let’s compute the date will be 30 days from now. Likewise, you can subtract timedeltas as well. If you subtract two datetime objects you will get a timedelta object that represent the duration. Likewise, you can subtract two time deltas to get another timedelta object. 11. How to work with timezones? So how to set time zone to a particular datetime? Simply pass the respective pytz timezone object to tzinfo parameter when you create the datetime. Then, that datetime will become timezone aware. Let’s create a datetime object that belongs to UTC timezone. UTC was a direct attribute of the pytz module. So, how to set to a different timezone? Lookup pytz.all_timezones for your timezone of choice. Then use the pytz.timezone() to create the respective timezone object that will be passed to the tzinfo argument. You can know that by converting to respective target timezone. Exercise 1: How to parse date strings to datetime format? s1 = "2010 Jan 1"
Exercise 2: How many days has it been since you were born? Exercise 3: How to count the number of saturdays between two dates? Exercise 4: How many days is it until your next birthday this year? Exercise 5: How to count the number of days between successive days in an irregular sequence? Exercise 6: How to convert number of days to seconds? Exercise 7: How to convert a given date to a datetime set at the beginning of the day? Exercise 8: How to get the last day of the month for any given date in python? Exercise 9: How many Sundays does the month of February 1948 have? Exercise 10: How to format a given date to “mmm-dd, YYYY” fortmat? Exercise 11: How to convert datetime to Year-Qtr format? Exercise 12: How to convert unix timestamp to a readable date? Exercise 13: How to get the time in a different timezone? Exercise 14: How to fill up missing dates in a given irregular sequence of dates? How many were you able to solve? Congratulations if you were able to solve 7 or more. We covered nearly everything you will need to work with dates in python. Let me know if I have missed anything. Or if you have better answers or have more questions, please write in the comments area below. See you in the next one!